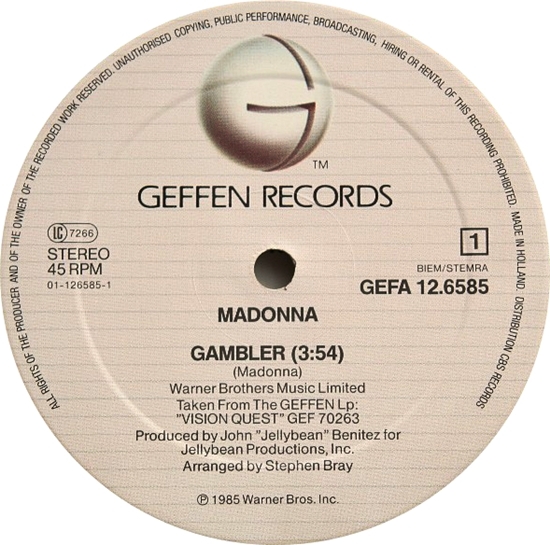 On October 3 1985, Geffen Records released Gambler as a single in Europe. It was the second Madonna single released from the Vision Quest soundtrack. Concerned about potential overexposure, Warner Brothers successfully managed to suppress a North American release of the track, although the music video was serviced to MTV. It was issued as a single in most other major markets – including Japan, Australasia & South America. 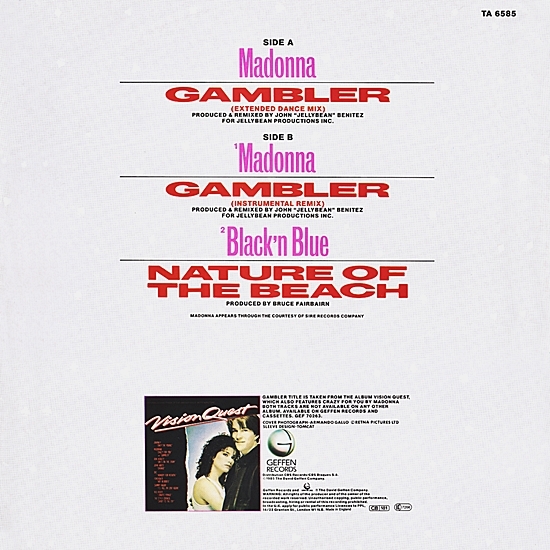 Gambler was written by Madonna, produced by Jellybean Benitez and arranged by Stephen Bray. Extended and instrumental remixes by Benitez were also issued commercially outside North America. 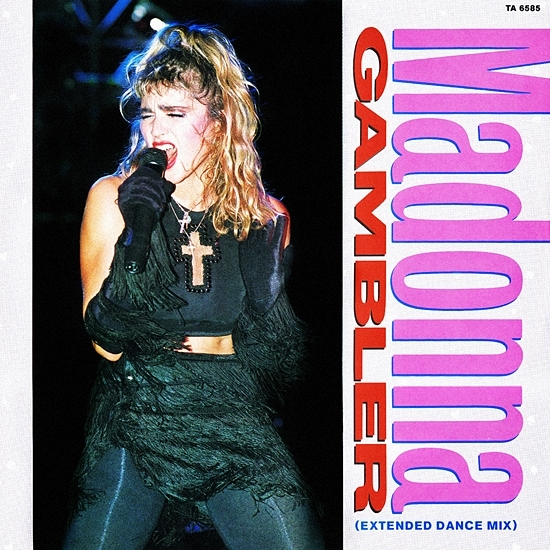 Call Gambler the Madonna single that got away from her! The absolute last hit of the First/Virgin era, it portended and looked forward to greater, bigger and better things for Madonna. With writing that laid out her ambition for the rest of her life-lines like “I’m a gambler/I’ll take you by surprise…You don’t like the way I act…You’re just jealous because you can’t be me…You can’t stop me now!-they were aimed at anyone who stood in her way-With ballad Live to Tell, Madonna was all grown up! Madonna was ready to be taken seriously by the Rock Crowd! Holding on to Innocence and Experience, Pop and Rock were never again the same!